This is for 3 soap is in the shape of the Eiffel Tower. Each weighs ~0.5 ounce. Each measures ~3 inches in height and ~2 inches in width and ~0.25 inches thick. They are scented Love Spell and colored pink. 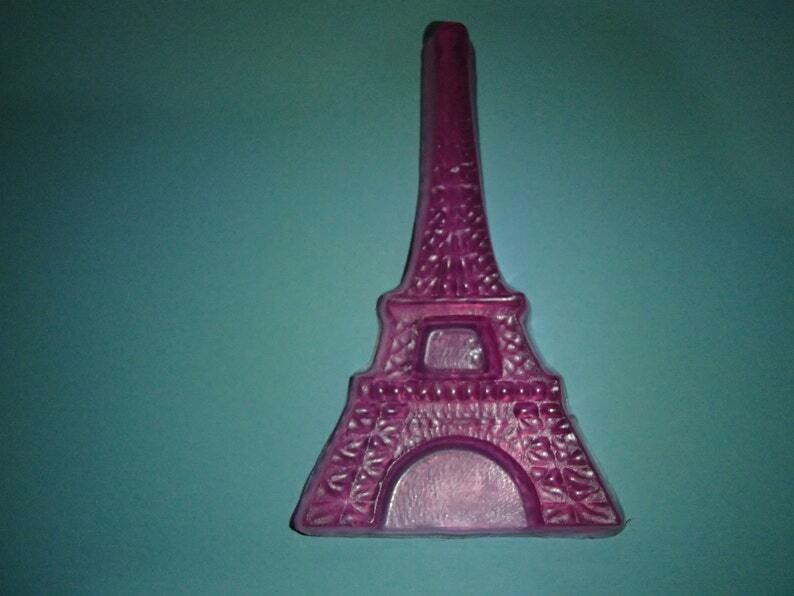 These are great soaps for those who love Paris. They also make a great gift for those taking a trip to Paris or to take along on your own trip to Paris.